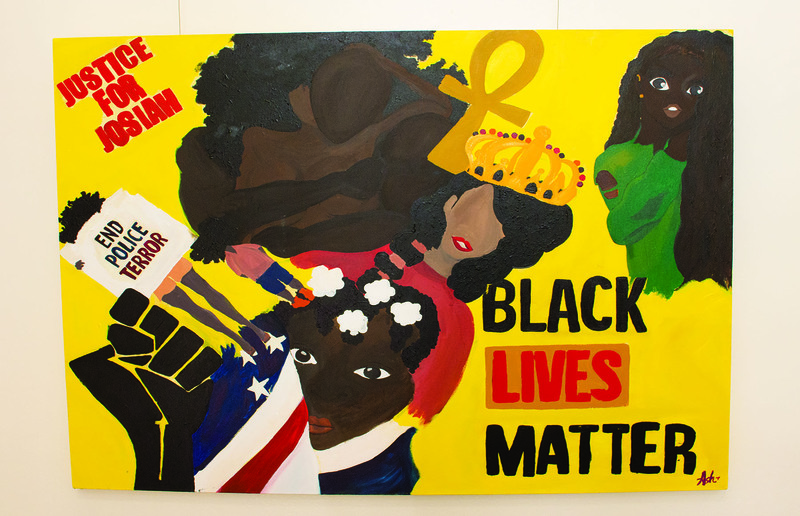 Crowns, box braids, and representations of Black love adorn an eye-catching yellow-based canvas displayed on the staircase in Humboldt State’s Art B building, a creative piece by art studio student Ashlyn Gardenhire. 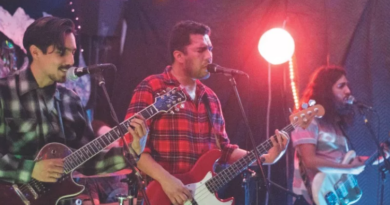 A lack of multicultural representation in the department doesn’t keep the art student from finding inspiration of her own. She finds much of her inspiration from contemporary artist Kerry Marshall’s style and concepts. 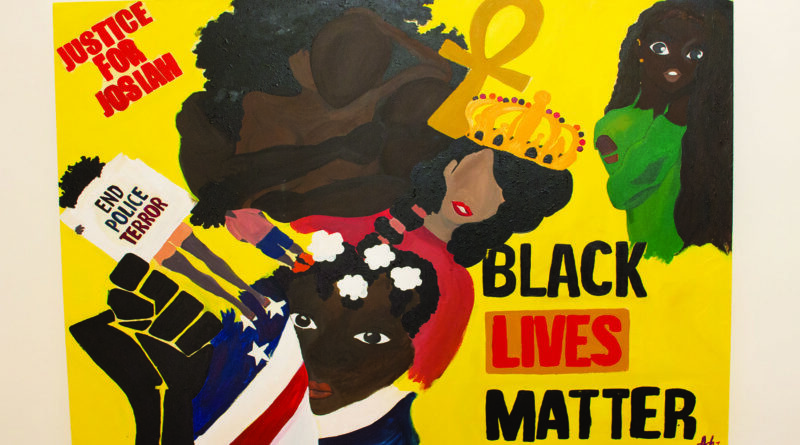 Gardenhire includes “Black Lives Matter” and “End Police Terror” on the painting, along with “Justice for Josiah” and representations of Black women and girls on her painting. 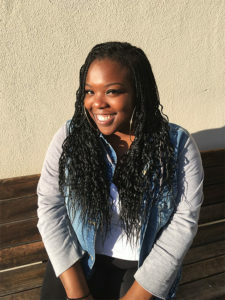 Gardenhire, 22, has been passionate about drawing since she was in fifth grade, but got into painting during her sophomore year at Humboldt State. Since joining the art department, she has faced some pushback for her choices of expression. 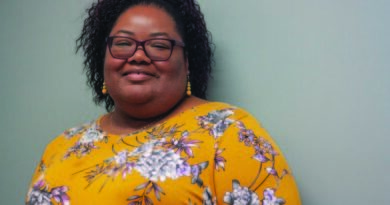 The concepts that Gardenhire gets creative with don’t tend to sit well with fellow students and faculty, which has a major lack of representation for people of color, let alone students to create it. The painting has been on the wall since the fall semester of 2017, after Gardenhire completed it as an assignment for a class. To her surprise, the decision to display the piece was made by her instructor. ← Clases local asisten a residentes obtener ciudadania de E.E.U.U.